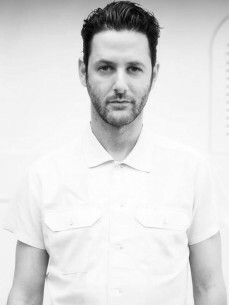 Guy Gerber has been stirring up electronic audiences with his anthem releases and live shows for quite some time. After countless productions for major labels, dance ensembles and electro rock bands, which earned him many awards and praises, Guy was ready for a major hit. His universally embraced single on Bedrock Records, Stoppage Time, became the stand out anthem of the year at the likes of Cocoon at Amnesia, and DC 10. The single has surpassed the 5-digit mark in sales and continues to shift by the truckload, and to appear on numerous compilations. Last summer's success led to Guy joining the Cocoon family. First came This Is Balagan, which attracted Sven’s attention to Guy’s unique melodies and production skills. Then came Sea of Sand, collaboration with Shlomi Aber, which appeared on Cocoon’s Compilation F, with its breathtaking memorable melody, that introduced Guy’s production to a wide new range of electronic audiences. When the single came out, accompanied by After Love, Guy was already spotted as the hottest name around. On New Year’s Eve 2007, Guy introduced to the world his new live show, rocking major events and festivals, such as Time Warp, Blue & Green, WMC SAMC, Sonar, SMS and many more. His tour included the electronic scene's most prestigious clubs, such as Fabric London, Panorama Berlin, Bar/Berghain Berlin, Amensia Ibiza, Cocoon Frankfurt, Goa Rome as well as South America and Asia. The other is Guy's self imprint, Supplement Facts, now a favorite of some of the biggest DJs around. An addict to his studio work, Guy continues to work on his follow up album and new releases, while still touring the biggest clubs and festivals in the world.